New construction Seagrove Beach gulf front condos for sale. Located just 1.5 miles east of Seaside, this to be built gulf front condominium complex will feature over 335′ of private beach, secure underground parking, resort style pool with an expansive pool deck, fitness room, owners golf carts and so much more! 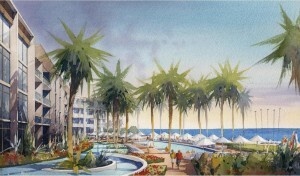 Thirty One on 30A will be one of the most sought after gulf front complexes on 30A when finished. Contact us today to reserve your Seagrove Beach gulf front condo.